I admit it. My three-year-old is an addict. Yes, an addict. It’s a bit embarrassing, but true. Know why?! He’s still addicted to his binky. So now I’m desperately looking for a solution to this problem. Must solve! I read this fantastic article on Babycenter dot com offering 10 possible ways to help your little cutie-pie get rid of his/her binky. The advice is fantastic, most of it from real parents like you and me. But Israel, as always, is more advanced than everyone. Great Israeli minds have come up with yet another invention, in my opinion even better than Waze or any hi-tech startup. Lee Trachtman, a nursery teacher by profession, wrote the lovely book which began the revolution. Three-year-old Noa (who also happens to be 36 months!) celebrates her third birthday in Gan by hanging up her “motzetz” on the “Eitz HaMotzetzim” in the backyard. Yes, the “Eitz HaMotzetzim”! 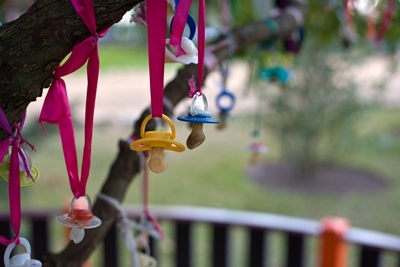 Almost every city in Israel, large and small, now boasts a special tree called the “Eitz HaMotzetzim”- the Pacifier Tree – upon which parents ceremoniously hang their children’s binkies. And it works. It really works. Gotta love those Israeli minds. Speaking of trees, Tu B’Shvat is fast approaching. How will you mark the day? My husband’s online Judaica store, aJudaica.com, features many Seven Species-inspired items especially. My personal favorites are the Kakadu Lazy Susan, the David Gerstein Camel Bowl and the Saboneto Olive Oil and Dead Sea Soap. 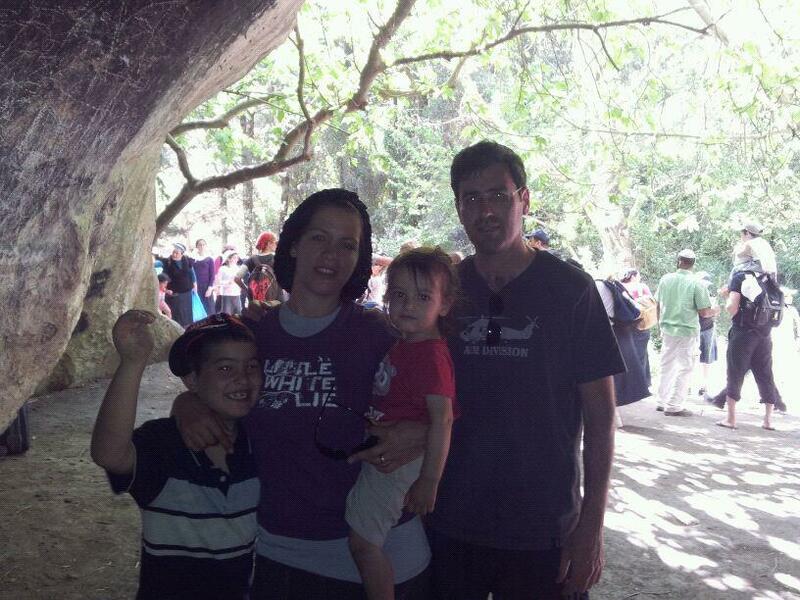 We will buy Seven Species fruits and make barley soup with fresh homemade bread to celebrate the occasion. Who know, maybe this Tu B’Shvat will be the day I muster up the courage to hang little David’s binky on the “Etz HaMotzetzim” and finally put an end to his youthful addiction! PreviousFestival of Lights – You can be the one! What do the foods on the Seder Plate symbolize?